Grace Christian School is proud to announce Jamie Radtke as our 2019 Commencement speaker. Join us Saturday, June 8, at 2:00 PM as we welcome Jamie and celebrate the Class of 2019. 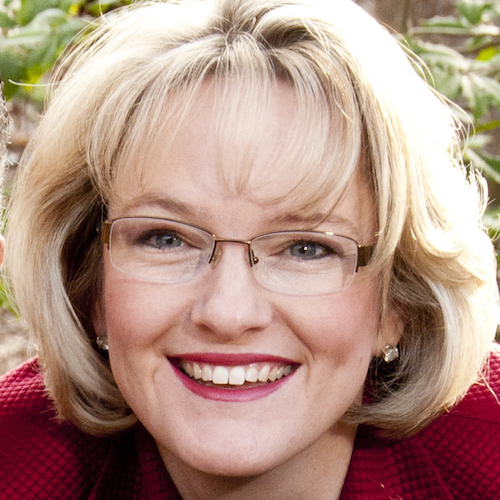 Jamie Radtke serves as the president of Explore God, a ministry that leverages cutting-edge technology, high-quality resources, and a unique voice to enable individuals to explore, experience, and engage in Gods plan for their life. Explore God has reached an online audience of more than 15 million people in over 80 countries since 2013. After running for the United States Senate in 2011-2012, Jamies twenty-plus years in the world of public policy compelled her to found WE Believe, a nonprofit focused on impacting young adults with the real, relevant, and transformational love of Christ. In 2017, WE Believe and Explore God joined forces to maximize their talents, resources, and impact. Jamie has worked in various roles for nonprofits, as an adjunct professor in higher education, as a consultant in corporate America, and in all levels of government. In 2010, she was selected to be one of Style Weeklys "Top 40 Under 40" for the Greater Richmond area. In 2012, she was selected to participate in the American Swiss Young Leaders Conference. Jamie is a frequent commentator and speaker on spiritual growth, leadership mentoring, strategic planning, and business/organizational development. In addition to her passion for sharing the gospel, Jamie and her husband, John, are involved with foster care and adoption. They have recently adopted their fourth child from the foster care system. Jamie also serves on the Social Services Advisory Board for her county, where she can help steward these important issues. Jamie received her undergraduate degree from Liberty University and holds a Master of Public Policy from The College of William & Mary. Jamie and her husband have been married for twenty years. They live on a farm in Virginia with their four children.